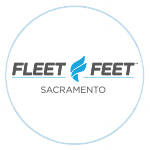 We are proud to have several local programs available for training for the 15th Annual Urban Cow Half Marathon presented by Buzz Oates, Five Star Bank and Fleet Feet Sports. They'll help get you across the Urban Cow finish line for your 2019 cowbell finisher's medal and to that Lagunitas Beer Garden just a bit sooner! "Whether you're training for your first Urban Cow or a seasoned runner, our expert coaching staff will provide you the knowledge and tools to help you reach the finish line." "Something for everyone - a mostly flat, fast course; shady, wide neighborhood streets filled with music and supportive spectators; and great aid stations along the way. We love the opportunity to bring our local running communities together for this truly classic event." "With the three distance options, Urban Cow provides all of our trainees, whether they’re beginners or have been running a long time, a fun and flat course! You can definitely MOOOOVE INTO LIFE with us at this race! " "It's got it all! Whether as a goal or benchmark race, the Urban Cow Half Marathon is a Sacfit tradition!" "What I love most is the combination of 3 distances in one day, welcoming to both runners and walkers. Keep Mooooo’ving Mama will be there again this October!" Consider our sister race, Buffalo Stampede 10 Miler, for a pre-race tuneup.